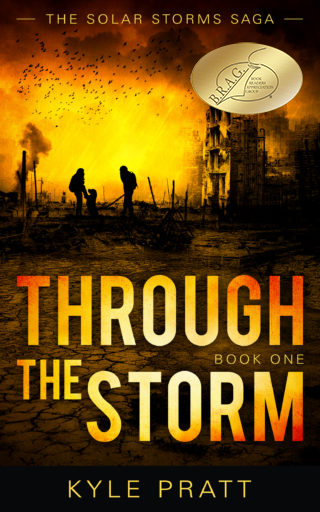 In Five Stars of Excitement, a blogpost from earlier this month, I announced that Through the Storm had received a 5-Star review from the Readers’ Favorite organization. Shortly after submitting Through the Storm for review I also sent in Seekers of Earth. I am proud to announce that Seekers of Earth has now also received a 5-Star rating from Readers’ Favorite. Readers Favorite is the fastest growing book review and contest organization online. It’s used by publishers such as Penguin Random House, Simon & Schuster, and Harper Collins, and the organization has received the “Best Websites for Authors” and “Honoring Excellence” awards from the Association of Independent Authors. If you’ve read Seekers of Earth and haven’t reviewed it, please do. In many ways, average reader reviews are more important than professional reviews and good reviews really do help sales. If you have left a review for Seekers of Earth—Thank you! One more reason to be grateful! When browsing, customers judge a book by the cover (despite the saying) and by the reviews. That is why I’m so very grateful that readers of Through the Storm have left overwhelmingly positive reviews. Now I have another reason to be grateful. The Readers’ Favorite organization has given Through the Storm a five-star review. Readers Favorite is the fastest growing book review and contest organization online. Used by publishers such as Penguin Random House, Simon & Schuster, and Harper Collins, the organization has received the “Best Websites for Authors” and “Honoring Excellence” awards from the Association of Independent Authors. If you’ve read Through the Storm and haven’t reviewed it, please do. Reviews really do help sales. For everyone who has read the novel and left a review—Thank you!